Big news folks. My sweet Addy and Ezra are starting school on Monday. Hold me. 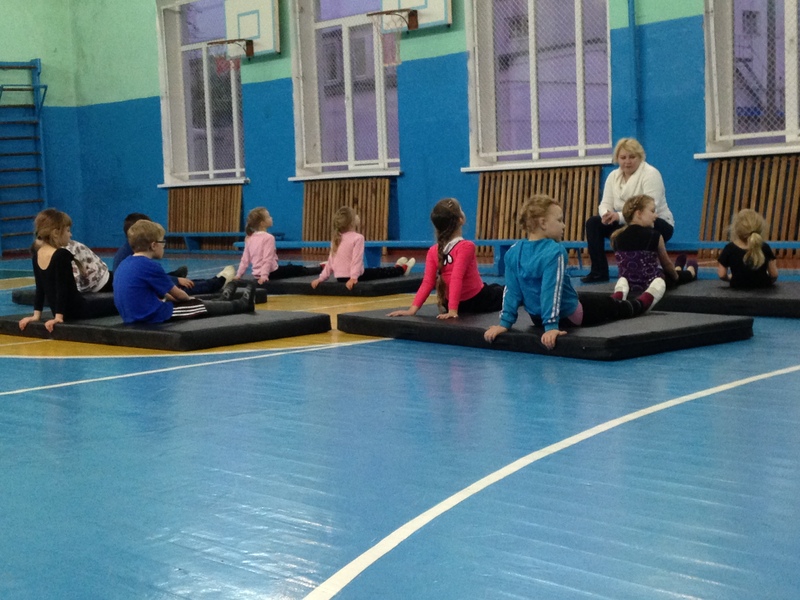 During Christmas time my friend Tanya told me about a gymnastics class at our neighborhood public school. The daughter of one of her family members attends the class and she knew we were on the lookout for some sort of activity for our kids where they could hear language and interact with other kids, so she asked if we were interested. Sure! Natasha, the mom of the girl attending, asked the coach if some crazy Americans could try out her class and she said yes! So we did. Oh the hilarity that ensued. Seriously, to be a fly on the wall. It is VERY entertaining. I think Tanya and I laughed nonstop during the first class. Picture a very old gym with bare wall, barred windows and dirty mats. Picture flexible Ukrainian kids flipping and cartwheeling and doing the splits and the bridge like they were birthed on to a balance beam. Then picture the Johnson children (minus Seth) entering with all their clumsiness and lack of coordination (I’ll take all the genetic responsibility for that); not understanding a lick of the language, not able to cartwheel, but doing their very darndest to follow along. Then picture the coach calling out orders in loud Russian. It’s like a three ring circus I tell ya. We were in Switzerland getting our visas when Tanya emailed to let us know that the director had agreed to the kids continuing gymnastics! Woohoo! He had also asked why they don’t attend school. 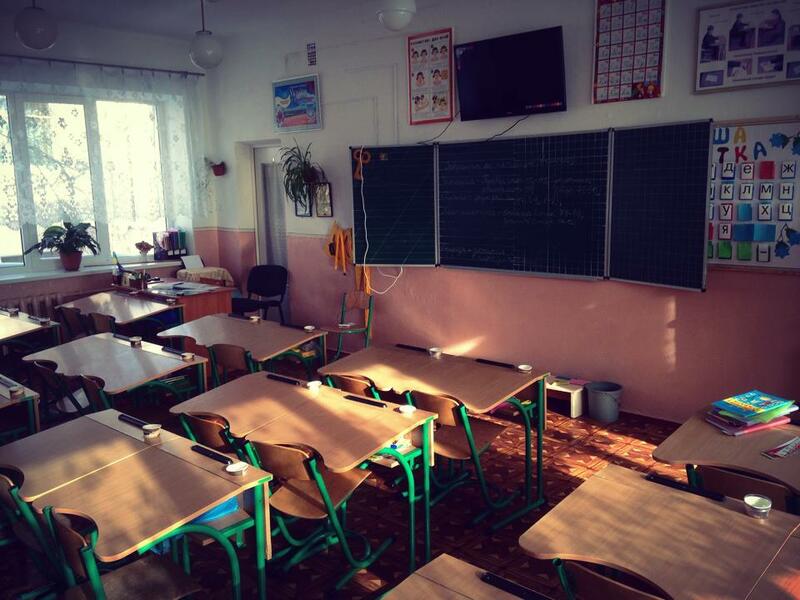 Everyone had been telling us that the schools wouldn’t accept our kids because they don’t speak but a few words of Ukrainian and Russian. As far as we know, our kids are the only foreigners around, so the schools are not at all set up to work with non-native speakers. The director said that was no problem and that he wanted to talk with Jed and me when we got home from Switzerland. A couple days after we got home from the visa trip we went to the director’s office for a chat. He doesn’t speak any English, so the school English teacher translated. He asked us the ages of the kids and where we live. He asked if we plan to be in Ukraine for a long time or just short term and if the kids are vaccinated. Then he got on the phone and talked about the situation to a higher up at the Ministry of Education. At the end of the meeting he told us the kids are welcome to attend his school if we want! We are a homeschooling family to the core. We love homeschooling. Addy went to kindergarten at a Christian school in Oregon where my mom teaches, and Ez went to one year of preschool there, but otherwise they’ve only been taught at home. Homeschooling has just become a way of life for us and we have never thought we would do anything different. If you’re curious why we homeschool I can talk about that in another post. I LOVE to talk all things homeschool, so don’t be shy! All that said, things got a bit tricky once we got to Ukraine. Our kids’ brains are wired for language learning right now. Everyone says “Your kids will learn the language so fast! You won’t believe it!” That’s probably true, but how can it happen if they are home all day? They certainly aren’t going to learn it quickly from me! Ha! 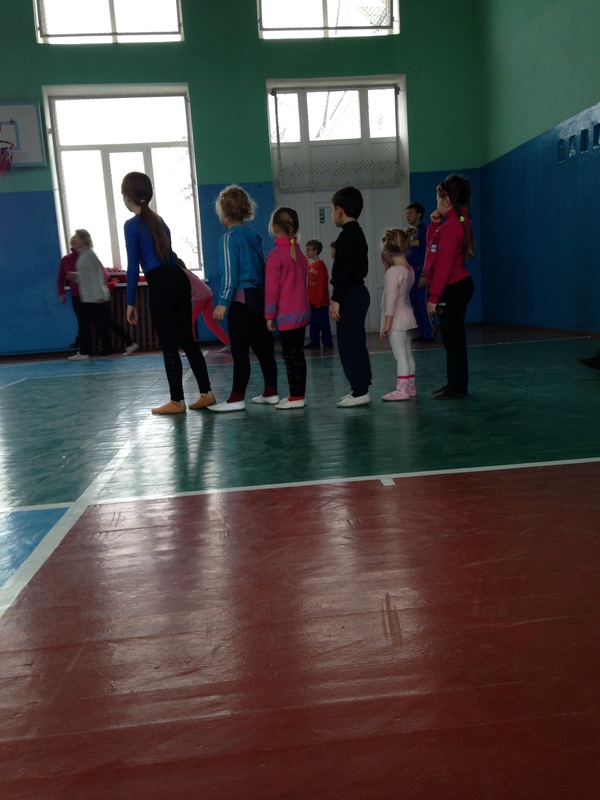 We put them in gymnastics, and they attend Awanas, and Sunday School, all in Russian and Ukrainian. They have picked up quite a bit, but it’s slow. They need to be immersed in the language while their brains are in this forming stage. I wish I had that opportunity! We don’t really know of an option for a tutor that can teach them as many hours as they need here at home, so we were at a bit of a loss. We were asking the Lord what to do to help our kids with the language. 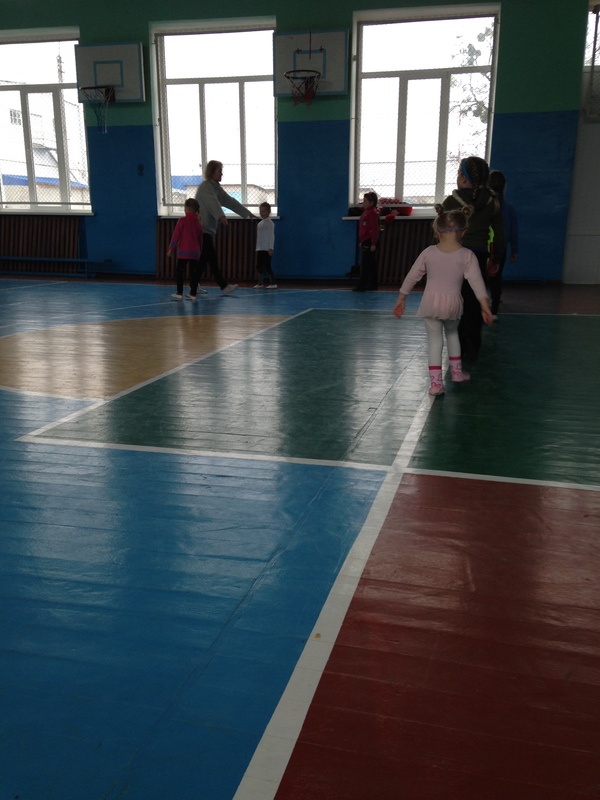 We considered checking out the two local, Ukrainian Christian schools in town, thinking maybe they would have the ability to be more flexible with us, but they are both pretty far from our house. Then this school fell in our laps. The thought right now is that they will attend school from 8:30-noon, and then come home to continue plugging along in their normal homeschool work. We’ll only focus on the basics when they get home, like English and math, since I know their brains will probably be a bit fried when they get home from school. 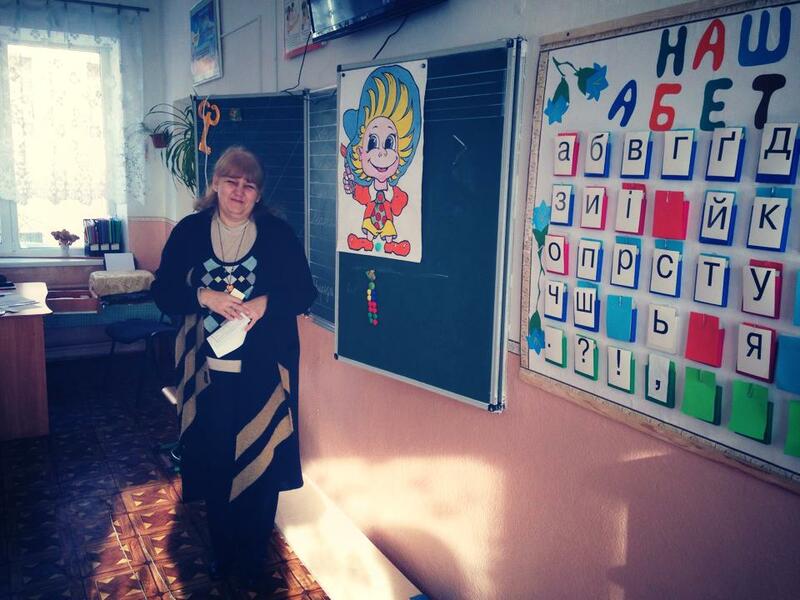 Their school is taught in Ukrainian and their teacher speaks no English. 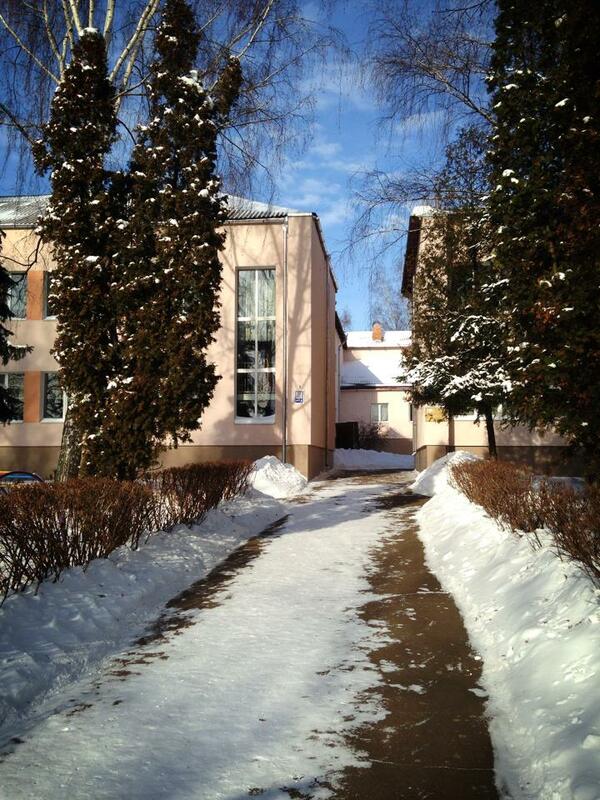 This school also specializes in Polish, so they’ll be studying Polish three times a week. Oh my…this should be an adventure! This is the plan that seems most peaceful right now. We’ll finish out this school year and then re-evaluate for the fall. I most definitely don’t want to abandon homeschooling, since the reasons why we school at home haven’t changed. I guess we’ll take it a year at a time and see what God says. So, Monday is the big day! School books have been purchased and the kids are excited to go. I’m excited for them…but also quite nervous for them. I’m so extremely thankful they get to be in the same class. Praise God for His kindness. He opened this door when we weren’t even looking and totally paved the way. We are praying that this leads to divine relationships and open doors in our neighborhood. We are excited to see how God plans to use this for His glory. If you would pray for us on Monday morning (Sunday night in the US) we would appreciate it so much!!! I’ll let you know how it goes! Oh my, what an adventure! (Have you gotten that sentence a lot? It seems to be a favorite every time I blog from our American friends. 🙂 ) Anyways, your kids are so stinkin’ brave — wow! Keep us posted! ooooh… exciting… praying they will at least be able to follow instructions & catch on quickly! So proud of you and Jed for being flexible enough to do this! It is one of those “teachable moments” that we love in homeschooling. This one just happens to be extended!, I’m loving how God is providing for your family. Thank you! Your comment really encouraged me!